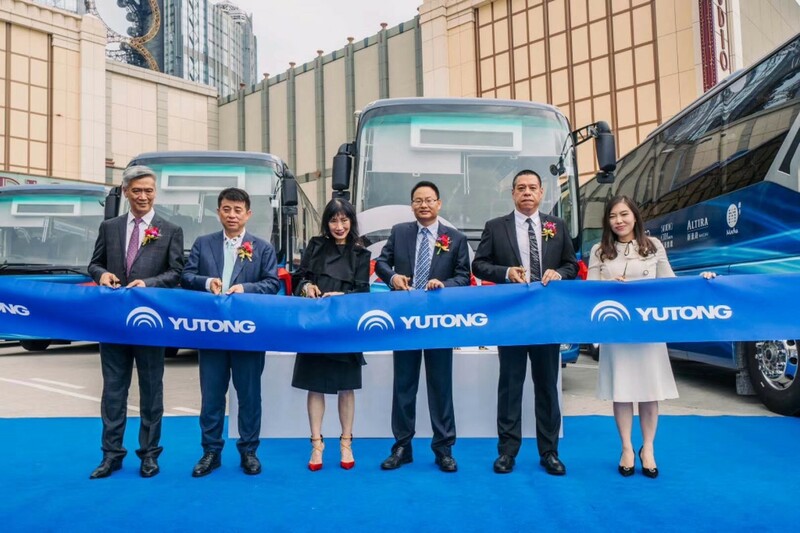 Twenty electric buses developed and manufactured by Zhengzhou Yutong Bus Co., Ltd. (Yutong Bus), the world’s leading bus and coach supplier, have begun service in Macau. 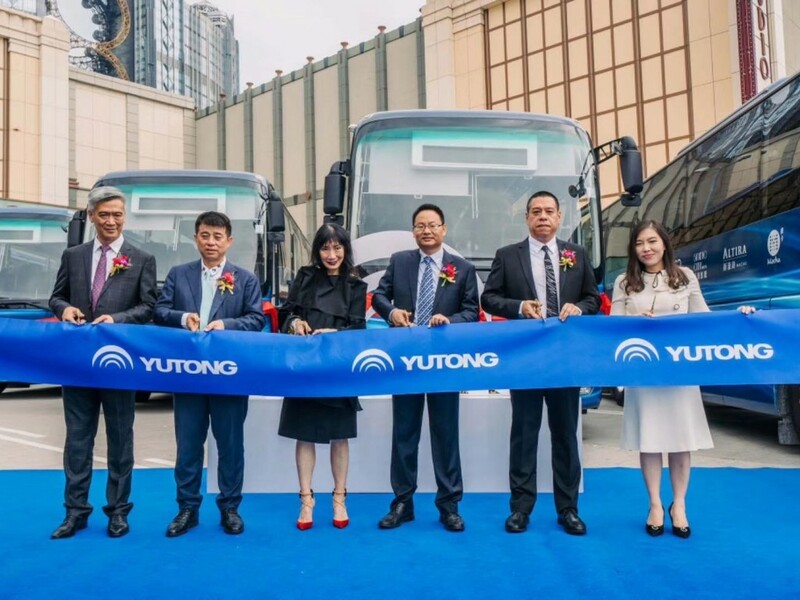 The delivery of the buses to Melco Resorts & Entertainment raises Yutong’s share of the electric bus market in Macau to 78%. Currently, there are 2,700 buses and coaches in Macau, 1,400, over 50%, have been supplied by Yutong. The 20 electric buses include eighteen 11m coaches and two 10m city buses used for picking up tourists in Macau. 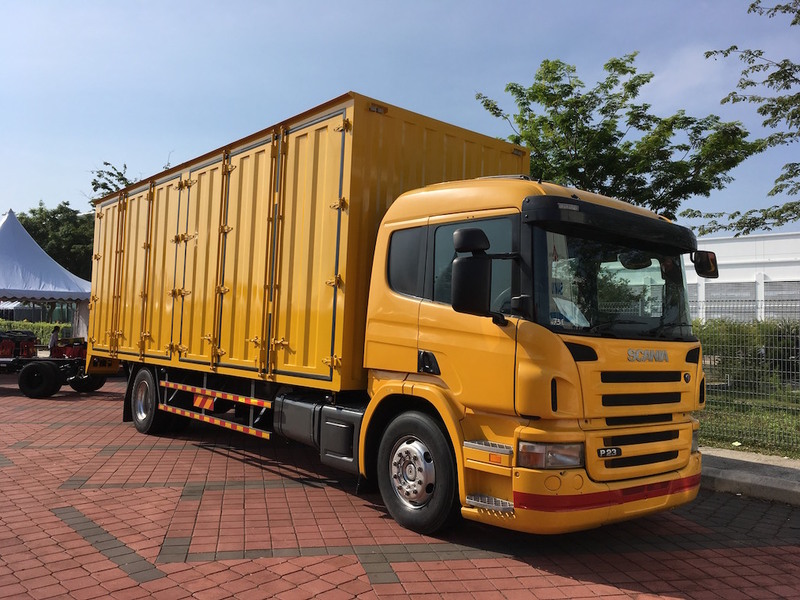 The 11m coach is designed specifically for Macau; its IP68 protective level makes it impervious to water for 24 hours, even when submerged, makes it perfect for the rainy and stormy days that are typical in Macau. 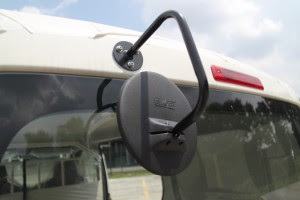 The 10m city bus, originally designed for the European market, comes with Yutong’s “BusEYE Pro” driver assistance system. The system features four major functions, forward collision warning, pedestrian collision warning, headway measurement warning and lane departure warning. 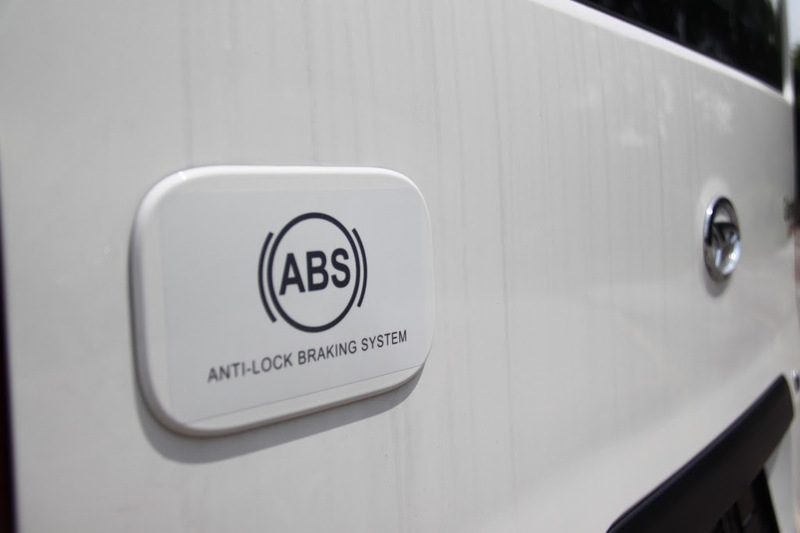 The battery system for the two models will keep the vehicles running even if stuck in traffic for long periods of time. 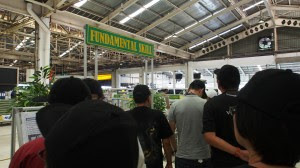 “At Yutong, we design for different needs in different markets. Macau has very crowded roads and humid weather. So, we try to solve those problems and more when designing for the market. 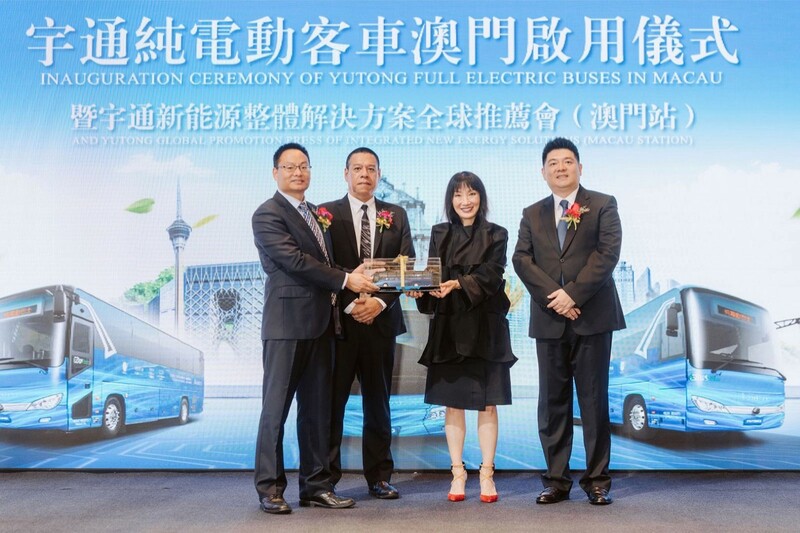 In addition, we have four service stations in Macau that can cover almost every Yutong electric bus in operation,” said Jin Yong, General Manager of Asian Division of Yutong Bus. 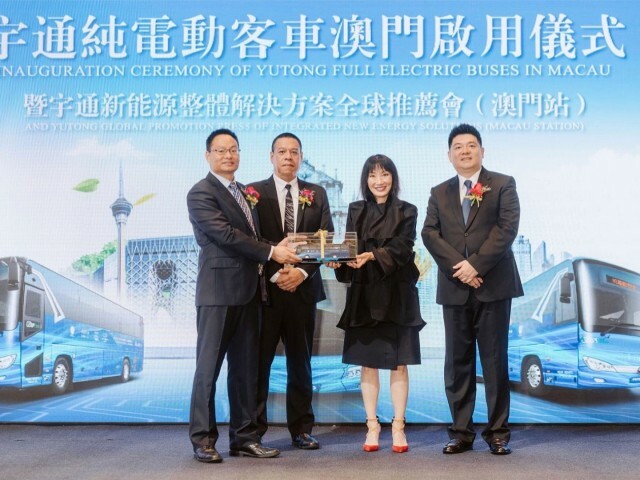 Apart from electric bus manufacturing, Yutong Bus provides one-stop integrated solutions of new energy buses including transportation planning, vehicle design and vehicle monitoring systems, while offering hands-on training to local operators. So far, Yutong Bus has achieved a total sales volume of 90,000 new energy buses in France, UK, Bulgaria, Iceland, Chile, and China Macau among others. What started as a horse and carriage movement some 84 years ago, the logistics industry in Malaysia has grown in leaps and bounds and with the PLUS highway opening in 1983 the movement of good and services took a major leap forward. The biggest challenge for the industry has been overloading by non member logistic operators who overload their trucks daily and this allows them to earn more money per trip which indirectly gives member truckers a dis-advantage as they have to carry the load as per the given requirements which earns them less for every trip done. Enforcement by JPJ (road transport department) will reduce overloading and reduce the price advantage that overloading truckers have against rule abiding truckers. The enforment by JPJ is lacking and needs more aggression to reduce and remove overloading for good. The logistics industry in neighboring Thailand has moved far forward due to tough/strict enforcement on overloading where drivers found to be driving overloaded trucks will be fined and or even jailed. In Australia, the government is even stricter where drivers are only allowed a fixed number of hours to drive in a day to prevent overworked drivers from having accidents while moving cargo. These are some of the enforcements that should be done to provide a fair playing field and also reduce accidents and tarmac damage with heavy laden trucks. 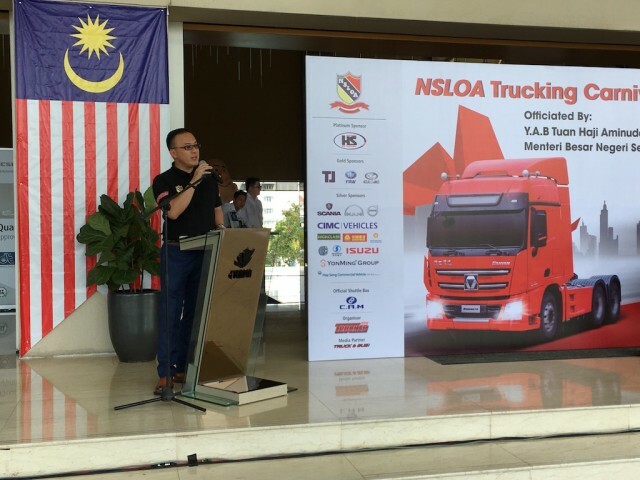 The NSLOA is also hoping that Malaysian government initiatives will be provided to encourage more Malaysians to become professional truck drivers. Currently on average 3,600 new trucks come into the industry every year but there are only a fraction of new drivers coming into the business. This means, the current pool of drivers are playing ‘musical chairs’ as they move from company to company which leaves employers constantly looking for drivers. Training and incentive schemes are needed to be provided to encourage new drivers coming into the industry. If you’re thinking of starting up your own little business, this van is perfect. It’s not too big and it’s not too small. I remember the days of the Hijet which was way too small and excuse the pun, doesn’t look the business, to do the business. But with this Gran Max, it’s perfect. 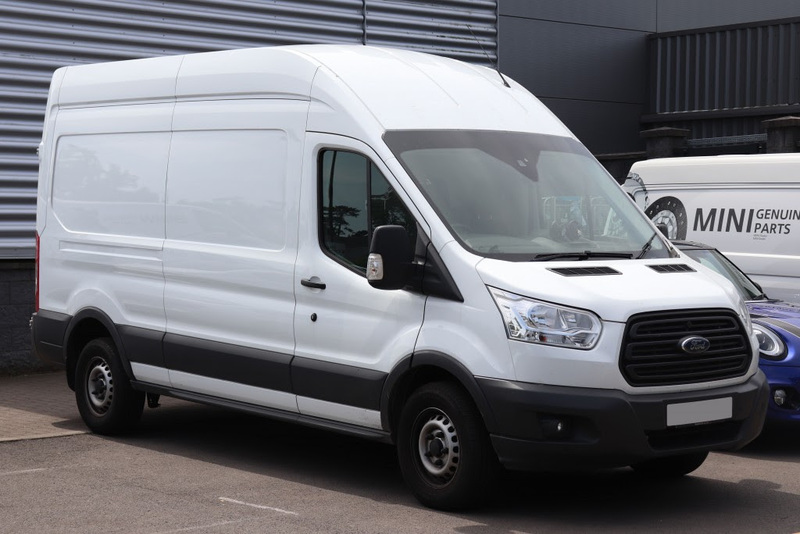 I have always been a fan of the Ford Transit but that’s too big and too costly. 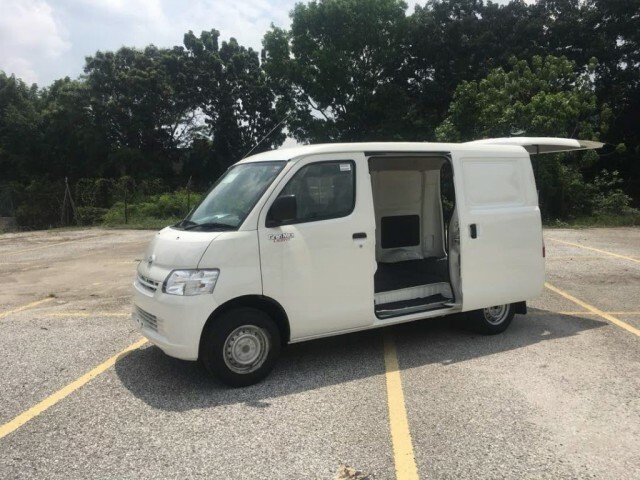 The next van that came to mind would be the Nissan NV200. That’s perfect too but, after checking out the Gran Max, I was sold. 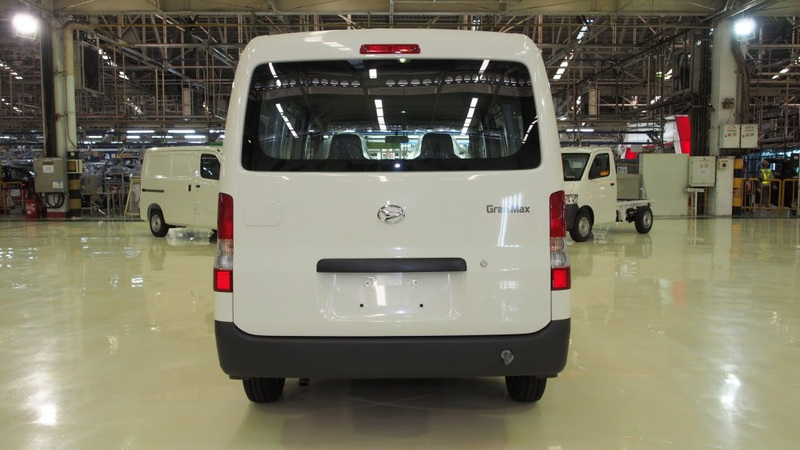 One of the main reason was … the Gran Max is rear wheel drive. There may be pros and cons when it comes to cars yes but to me, when it comes to your work horse, it’s best that it’s all wheel drive or at least, rear wheel drive. Yes, I did ask the Daihatsu peeps if I can drift with the Gran Max and they looked at me as if I was mad. 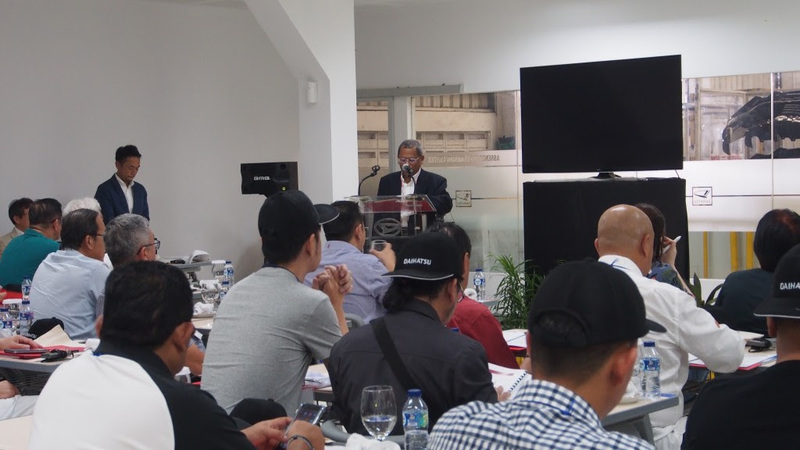 The Gran Max Panel Van Automatic Transmission (AT) was previewed to a bunch us media and dealers during the ADM Plant Visit in Jakarta, Indonesia at the beginning of the month. Daihatsu says the Gran Max is known to be compact yet reliable and durable, pursued by the fundamental performances for carrying large loads with ease, delivering the functionality of a workhorse at its best. 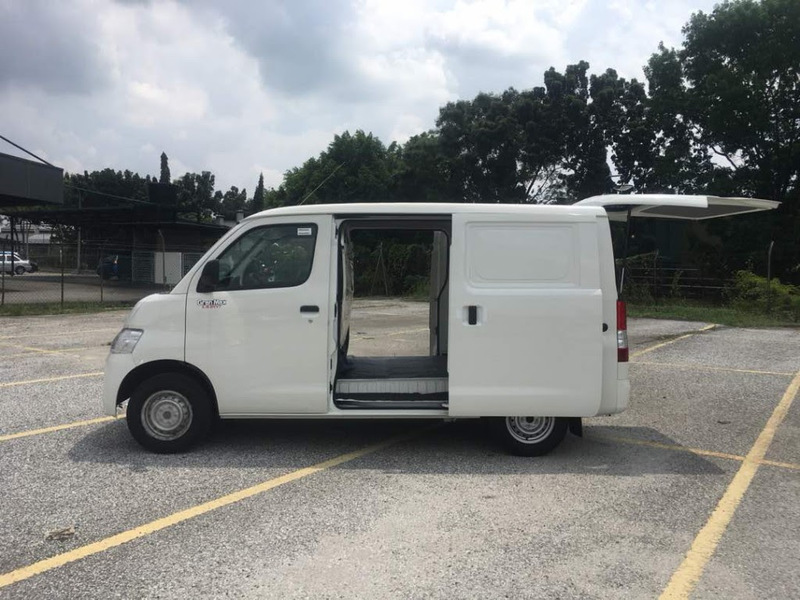 The newly upgraded Gran Max will be the 1st Auto Transmission Panel Van to enter the light commercial vehicle segment in Malaysia. 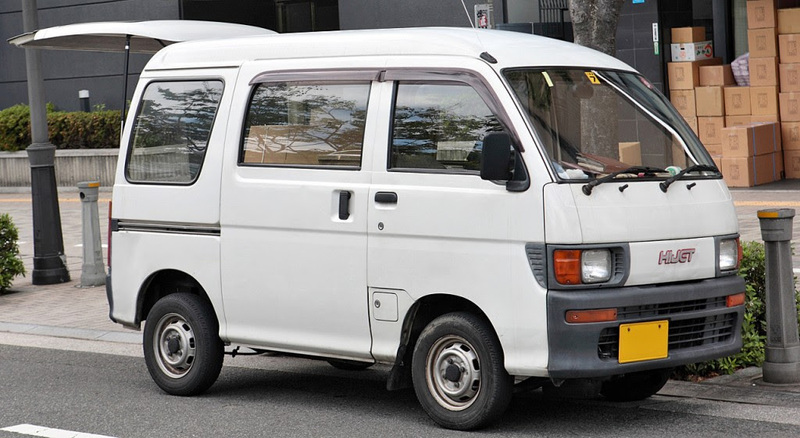 Since its establishing years of Daihatsu in Malaysia, starting from year 1980, Daihatsu (Malaysia) Sdn. Bhd. 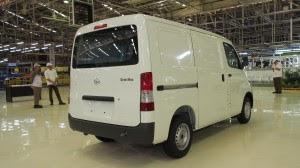 has sold more than 67,254 units of commercial vehicles. 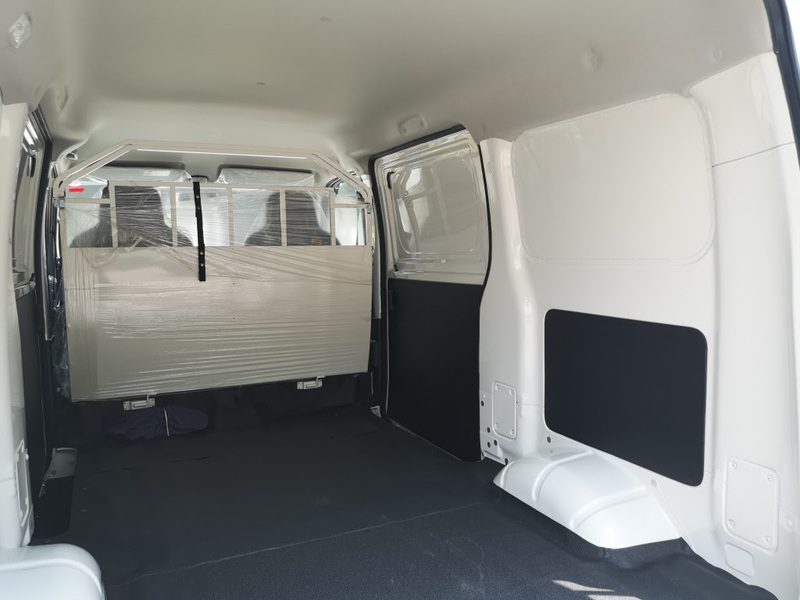 They have specially designed this new panel van (AT) to accommodate the requirements of mobile SME businesses (business ‘on-wheel’) that is blooming in the country as well as other corporations and government agencies. It is compact and lightweight – perfect for many delivery-based businesses such as retail, trading, catering, utility, security and many more. It is able to accommodate up to 2,000 kg of gross weight (with load) and runs on Electric Fuel Injection (EFI) powered by DOHC DVVT 1.5 litre engine, that produces maximum power of 71kW/6000rpm and maximum torque of 134Nm/4400rpm. 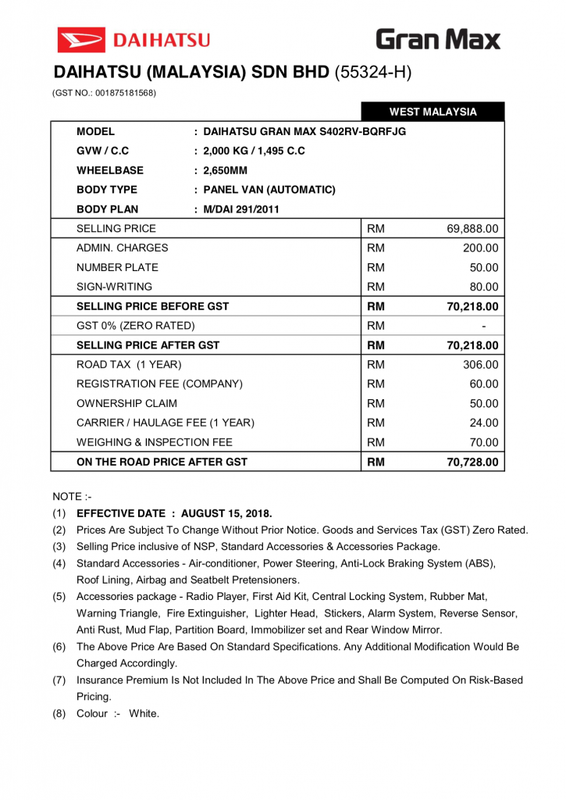 This will benefit owners with economical petrol cost without compromising the power to accelerate. 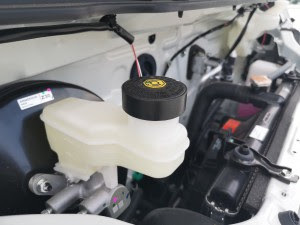 The engine is compatible with RON 95 petrol which is easily accessed around the country. It’s, like I said earlier rear-wheel drive (RWD) improving driving grip while transporting loads, especially on uneven road conditions. The 4-speed automatic gear, with light powered steering and 4.7m small turning radius is a power-combo to boost easy vehicle handling. The automatic transmission also takes advantage of torque converters and wider spread gear ratios allowing better manoeuvrability through busy city roads, tight corners as well as driving up the hills. 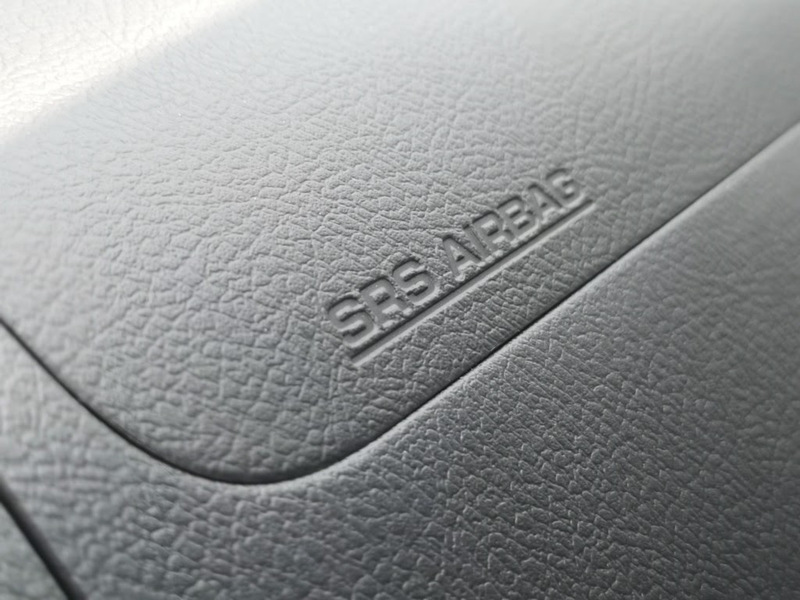 For extra safety and comfort, it has anti-lock braking system (ABS) and dual front SRS airbags along with its high rigidity monocoque body structure. The New Gran Max Panel Van (AT) model is priced from RM69,888.00**, excluding insurance and comes with a 3 year warranty/100,000 km. First 100 customers who made bookings before the 30th September 2018 will enjoy special early-bird promotion – Free 1 Year Service Maintenance Package. 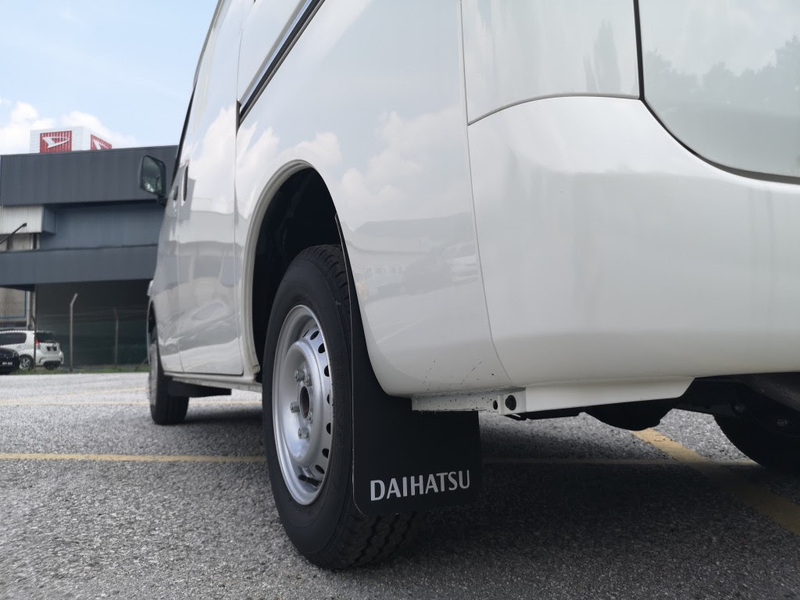 Hassle-free after sales care is included where service maintenance can be scheduled right at customer’s doorstep – through their “Daihatsu Mobile Service” team. 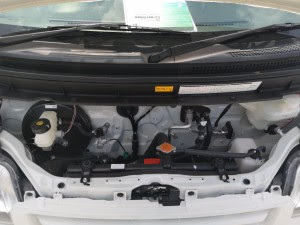 The service provided inlcudes replacing of timing belt, brake pad, battery, absorber, wiper and brake fluid at customer’s convenience while being charged at their standard service centre rate. 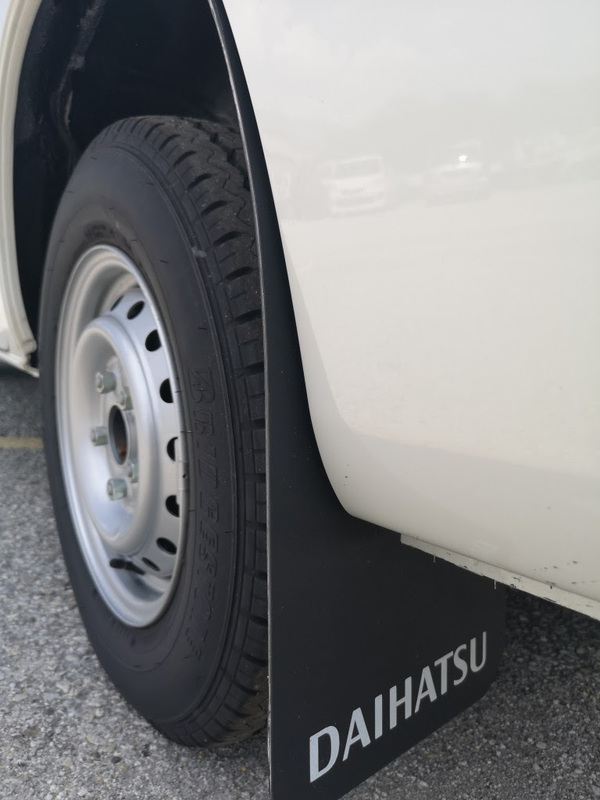 Daihatsu Mobile Service is currently available within Klang Valley, Johor and soon will expand to other regions. 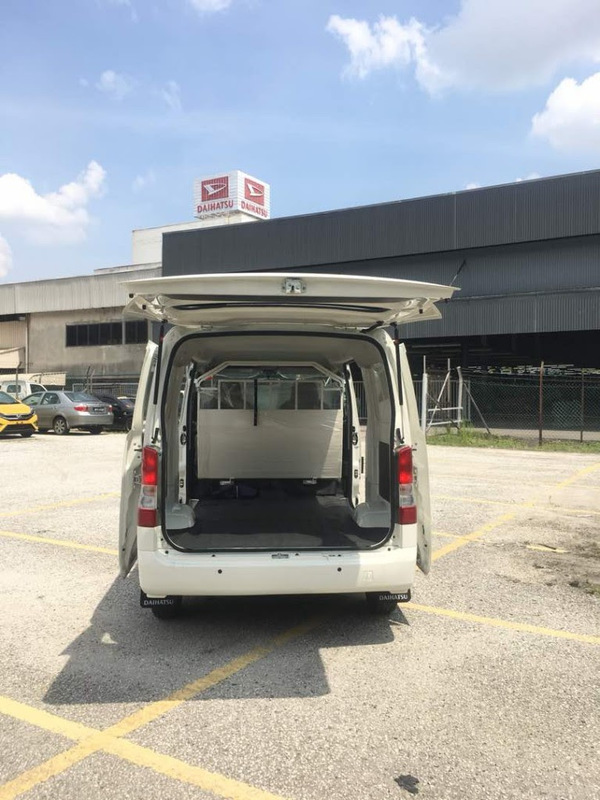 Alternatively, customers may also visit a total of 50 Daihatsu trust-worthy service centres and authorized service dealers throughout Peninsular Malaysia, Sabah and Sarawak, which guarantee service of original parts and fluids. 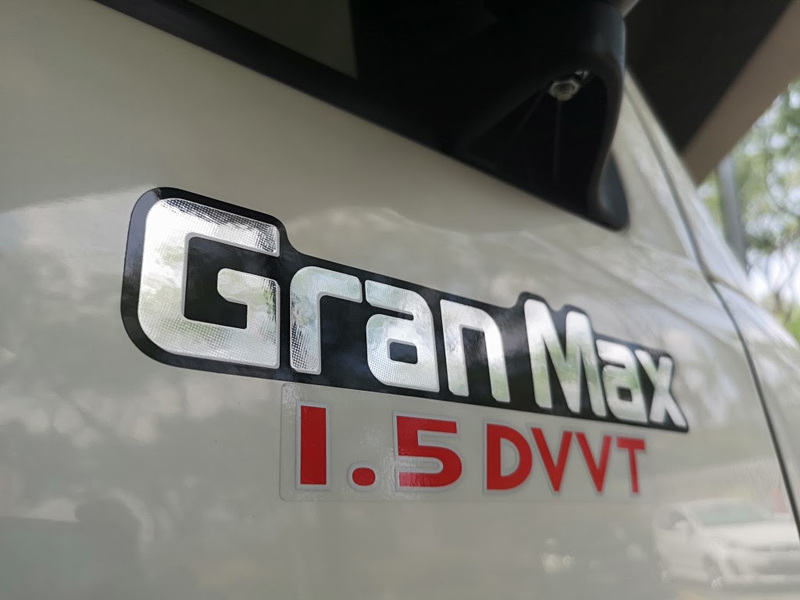 You can check out the Daihatsu Gran Max product presentation at its 26 showrooms around the country, or book your appointment today at tel: +603 – 5510 9988. Otherwise, find out more info via the official website at www.daihatsu.com.my or drop a note to email add: hotline@daihatsu.com.my. IVECO are celebrating the 40th anniversary of their Daily van, which offers an opportunity to look back on the history of this popular light commercial vehicle. 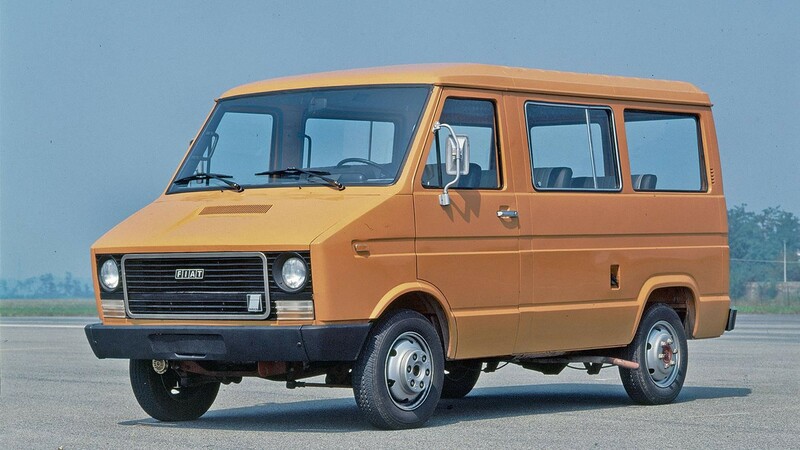 IVECO started working on the design of the Daily back in 1973, using a similar concept to that of the Fiat 616 and Fiat 40, but the van officially launched in 1978. The company followed that up with the first 4×4 Daily model in 1984 and the Turbo Daily in 1985, which sported a 92-horsepower engine. 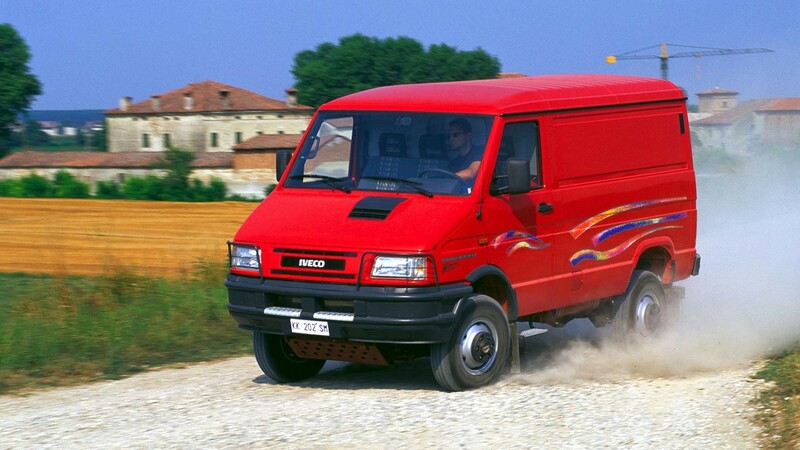 IVECO updated the the Daily in 1996 with new upholstery, a new steering wheel, and a new radiator grille. 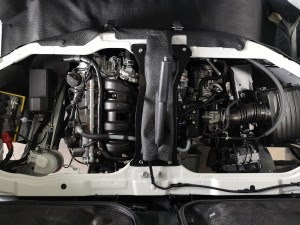 In 1998, the IVECO Daily became the first light commercial vehicle to run on compressed natural gas (CNG). IVECO introduced the second generation of the Daily van in 1999 with a new design, gross vehicle weight ratings (GVWR) of up to 6.5 tonnes, and engines rated at up to 146 horsepower. The following year, the Daily won its first Van of the Year award. IVECO introduced the first automatic transmission for the Daily in 2004 and made electronic stability control standard in 2006. The year 2009 was a particularly important one for the brand as it saw the release of the Eco Daily with a Euro 5 diesel engine, the Daily Electric with its zero-emission engine and range of up to 120 kilometres, and the introduction of a 7-tonne Daily model. 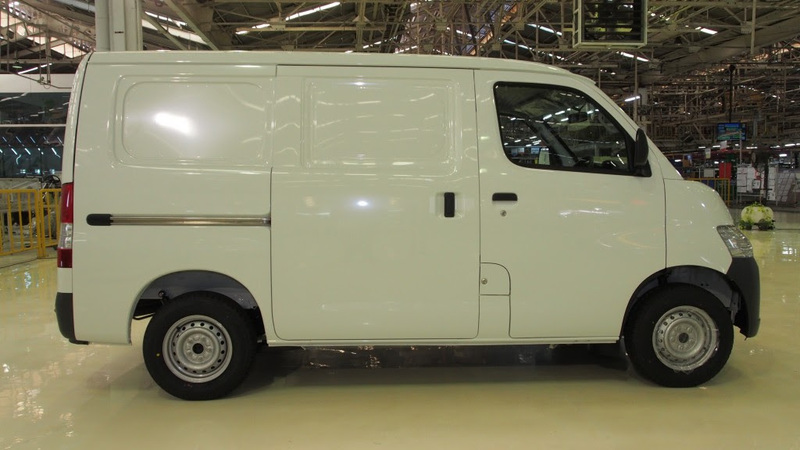 The IVECO Daily hit two million in global sales in 2010. 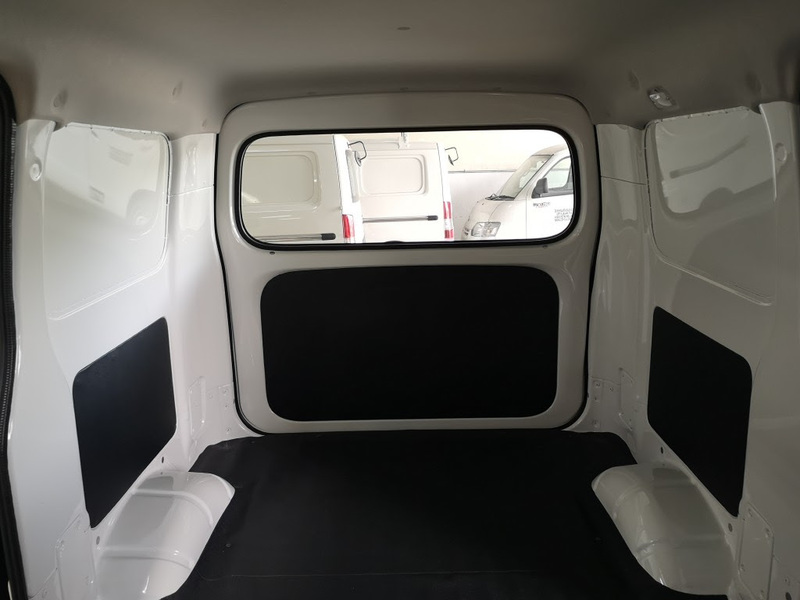 The IVECO Daily is currently in its third generation, which kicked off in 2014 with a new range of models and a long list of optional features that added up to a potential of 8,000 factory variants. IVECO then introduced its Daily HI-MATIC 8-speed automatic transmission in 2015, its line of 2.3-litre and 3.0-litre Euro 6 engines in 2016, and its range of Daily Blue Power models. 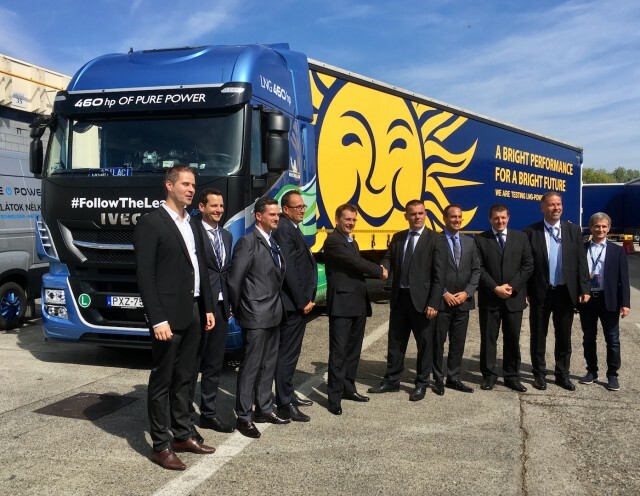 The Blue Power lineup consists of the Daily Electric, which has a zero-emission engine; the Daily HI-MATIC, which runs on CNG; and the Daily Euro 6 RDE 2020 Ready, which was the first light commercial vehicle deemed ready for emissions regulations that will be in effect in Europe starting in 2020. 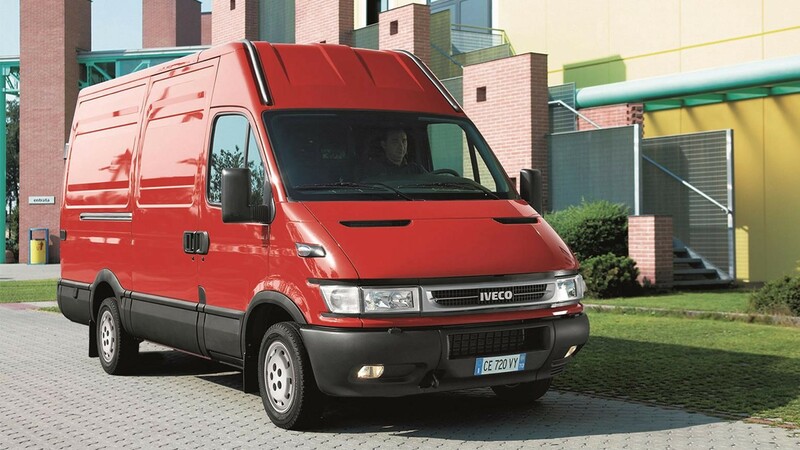 After its first win in 2000, it wasn’t until 15 years later that IVECO would win another Van of the Year award for its Daily lineup, although it has been receiving them in droves ever since. It won Best KEP Transporter 2015, and the HI-MATIC model won the Innovation Award for KEP Transporter 2015, both in Germany. Awards in 2016 included the European Innovation Award for the Daily HI-MATIC in Europe and Best Commercial Vehicle of 2016 in Chile and Germany. 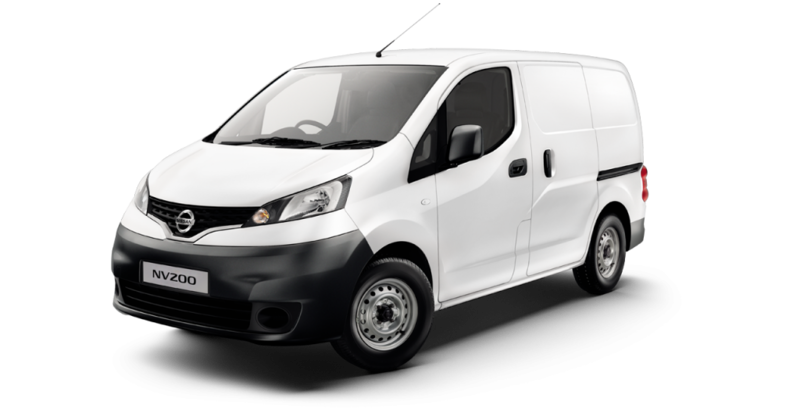 In 2017, it received Large Van of the Year in the UK, the National Transport Award in Spain, and the Daily Electric won Sustainable Truck of the Year in Italy. 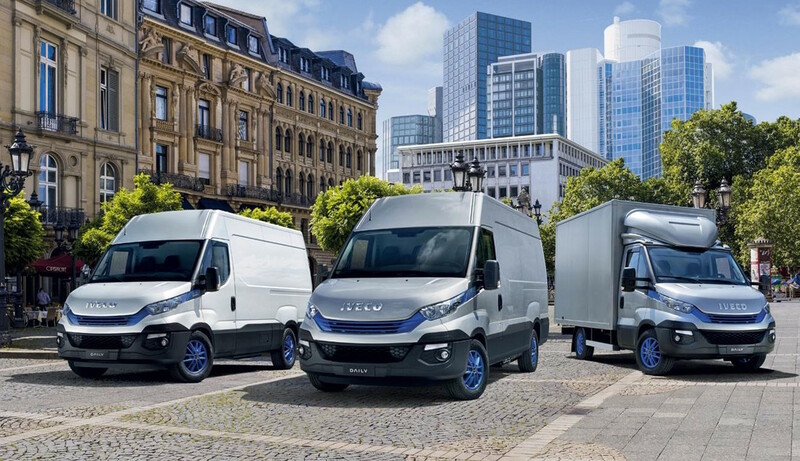 IVECO has earned even more awards so far in 2018; the Daily Hi-Matic Natural Power won Sustainable Truck of the Year in Italy, while the Daily Blue Power won International Van of the Year in Europe, Van of the Year from the Danish Automotive Journalists Association, and Van of the Year in China. The Daily lineup also won Germany’s Best Utility Vehicle 2018 in three categories. 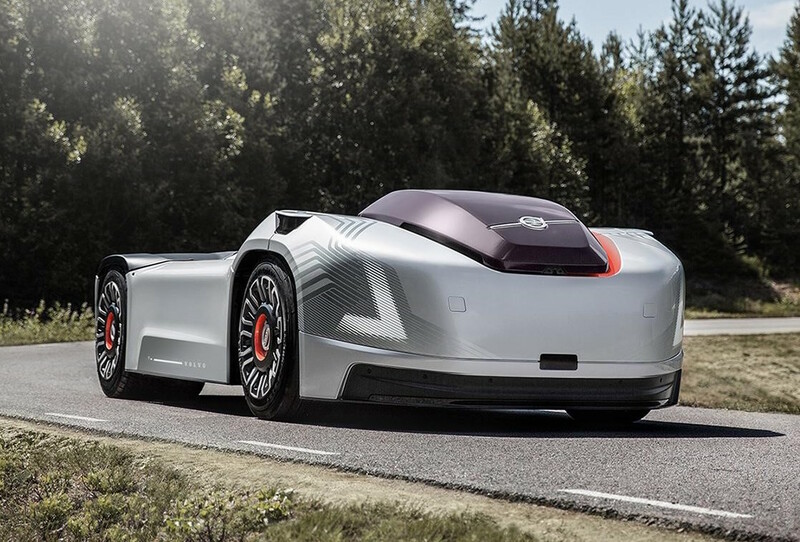 Volvo recently revealed Vera, an autonomous electric commercial vehicle concept meant to be a more efficient and environmentally friendly alternative to existing transport technologies. 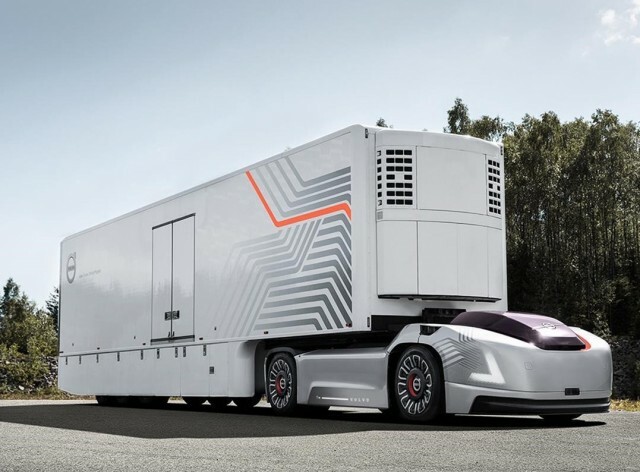 Unlike other autonomous truck projects designed for long haul operations, Vera is built specifically for making deliveries over shorter distances, essentially on a loop along the same route between various hubs. Volvo hopes that this project will reduce pollution, traffic congestion, and noise levels, but another major goal is to meet growing demand for transport services in general. The heart of Volvo’s Vera program is the transport control centre, which continuously monitors autonomous vehicles connected via the cloud to ensure they are traveling along the correct path and have an adequate battery charge, among other factors. 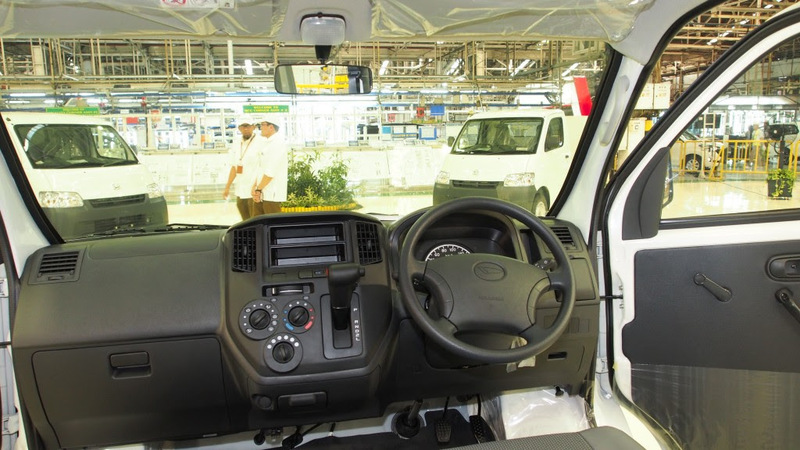 The vehicles have onboard systems that help with positioning so they can be aware of their surroundings; these systems can also analyse the location and behavior of other drivers in order to operate as efficiently and safely as possible. ’Danube Truck is proud member of IVECO family, as sole distributor in Hungary is happy to participate in the project of testing and later hopefully delivering state-of-the-art NG products to the largest transportation company in our region. 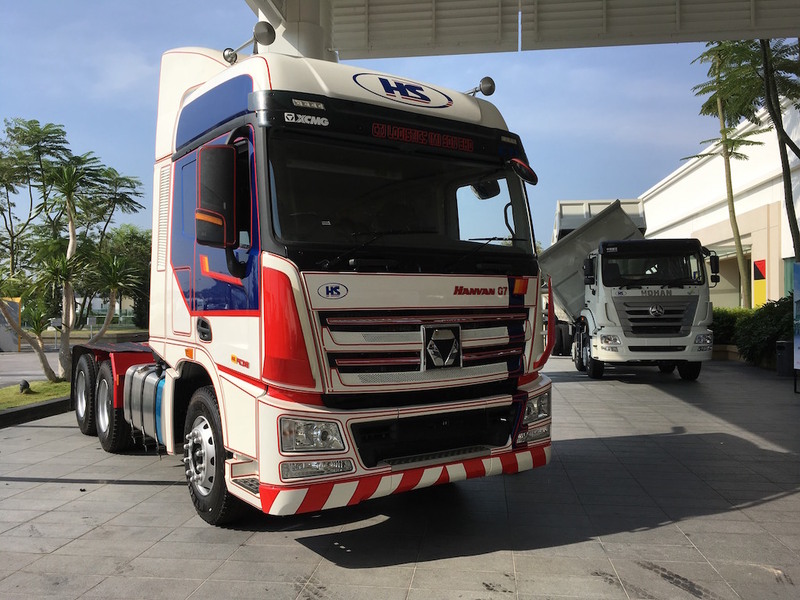 Waberer’s domestic and international business units in our understanding would largely benefit from operating these LNG and CNG Stralis trucks and CNG Daily. 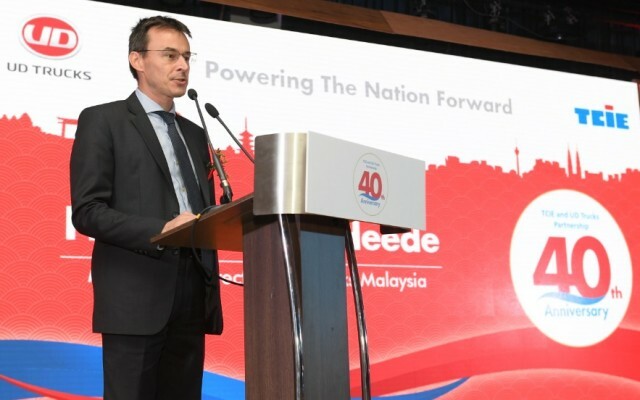 We are excited and committed to a prosperous co-operation between our companies’, said Zoltán Zákány, executive director of DanubeTruck Ltd.
UD Trucks & Tan Chong Industrial Equipment Celebrate 40 Years of Partnership Success! This is the longest ever principal and distributor partnership in UD Trucks’ history globally – with a grand dinner celebration event themed ‘Powering the Nation Forward’. 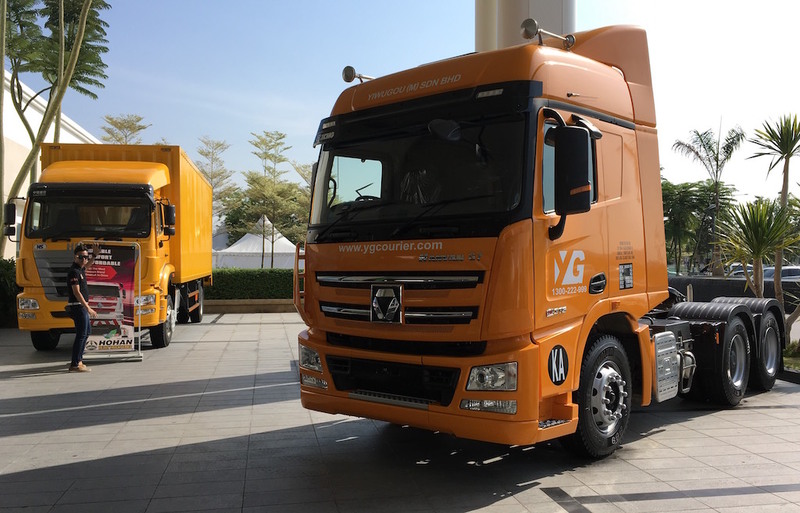 This momentous event, held at Saujana Hotel Kuala Lumpur, was graced by Dato’ Rosie Tan, Group Chief Executive Officer, Tan Chong Motor Holdings Berhad and Jacques Michel, President of Volvo Group Trucks Asia and JVs Sales. 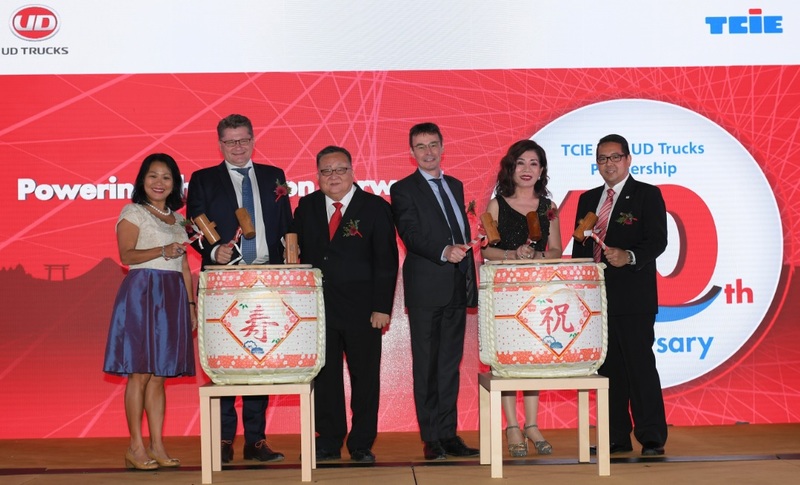 It was also attended by other top management of Tan Chong Group, UD Trucks and TCIE, as well as staff, partners, customers and members of the media. “TCIE has been constantly growing its all-rounded capabilities and enhancing service offerings for customers. 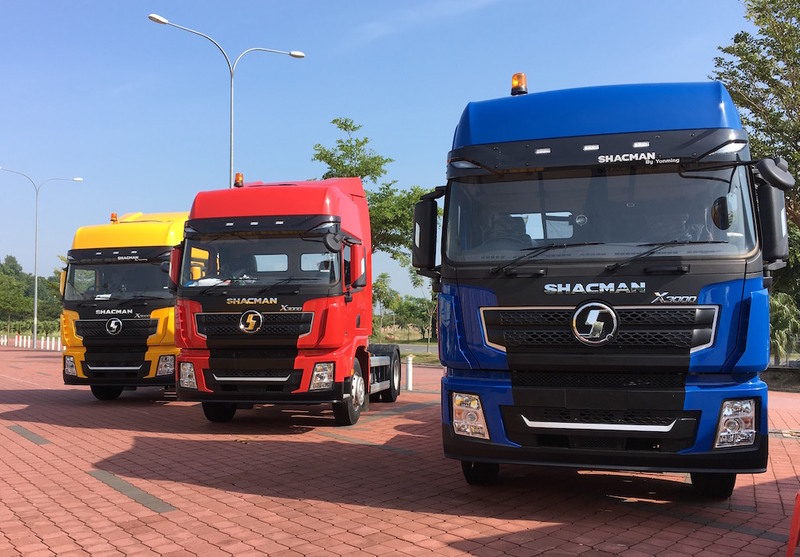 Delivering comprehensive and satisfactory truck ownership experience to all valued customers has been our shared core focus, and we are proud to call TCIE our sole distributor partner in Malaysia,” Added Van den Heede. 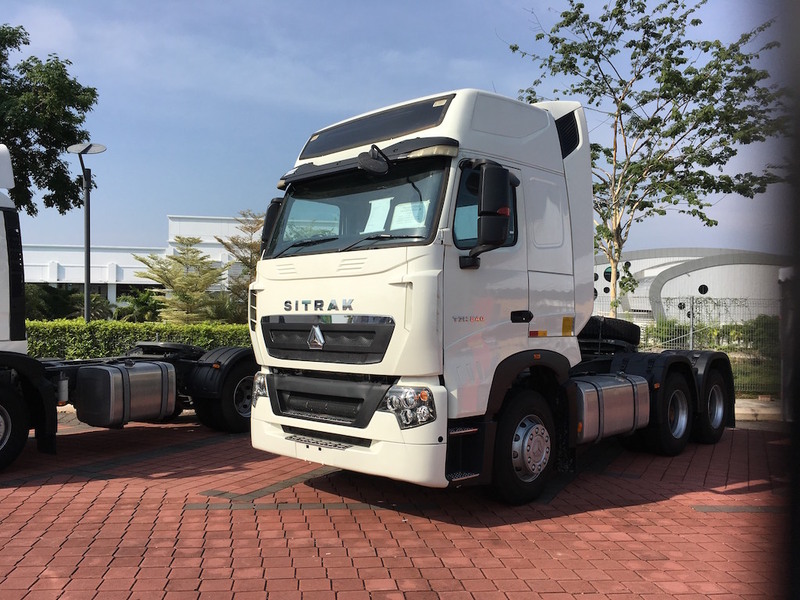 In 2007, Volvo Group acquired Nissan Diesel and several years later in 2010, rebranded it to UD Trucks, which essentially means Ultimate Dependability. 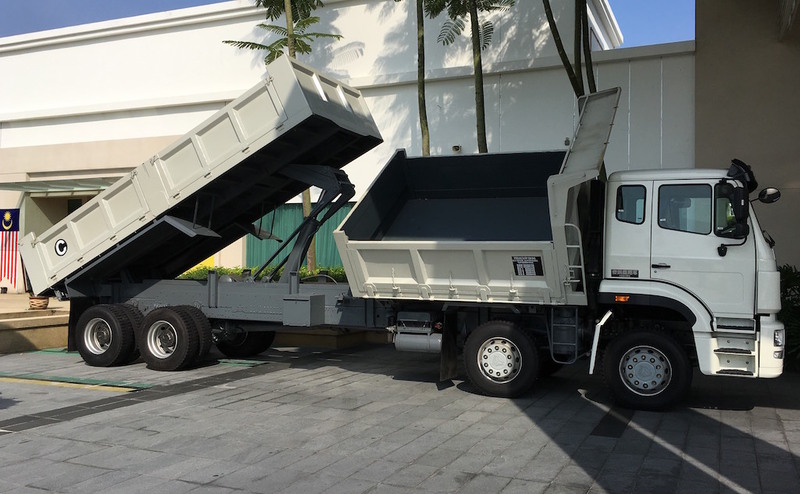 The fundamental relationship between Tan Chong and UD Trucks remained strong despite the change in principal ownership, and continued to deepen and expand beyond various challenges. TCIE, in 1978, was the first to bring in the CK11 and half cab UG780 Nissan Diesel trucks to grace Malaysian roads back then and had been able to build on the brand with the latter model. 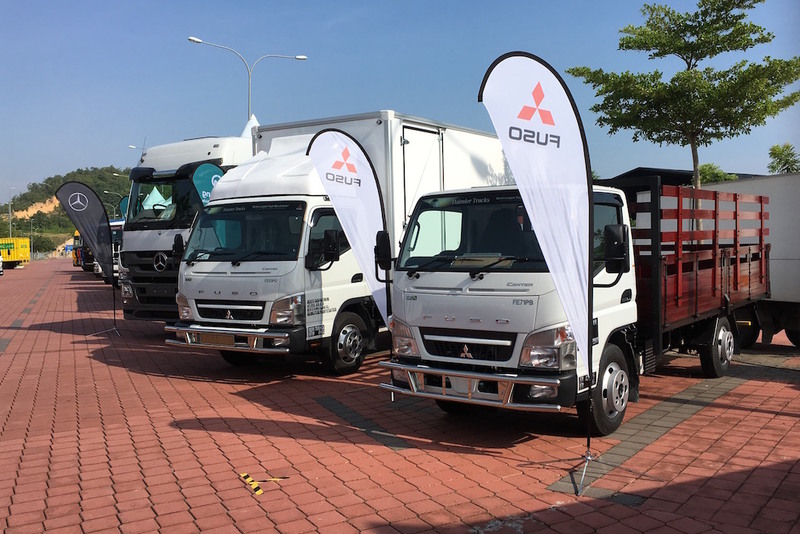 Since then, UD Trucks and TCIE have continuously worked hand-in-hand in going the extra mile to provide new, innovative and creative trucking solutions for customers in Malaysia. 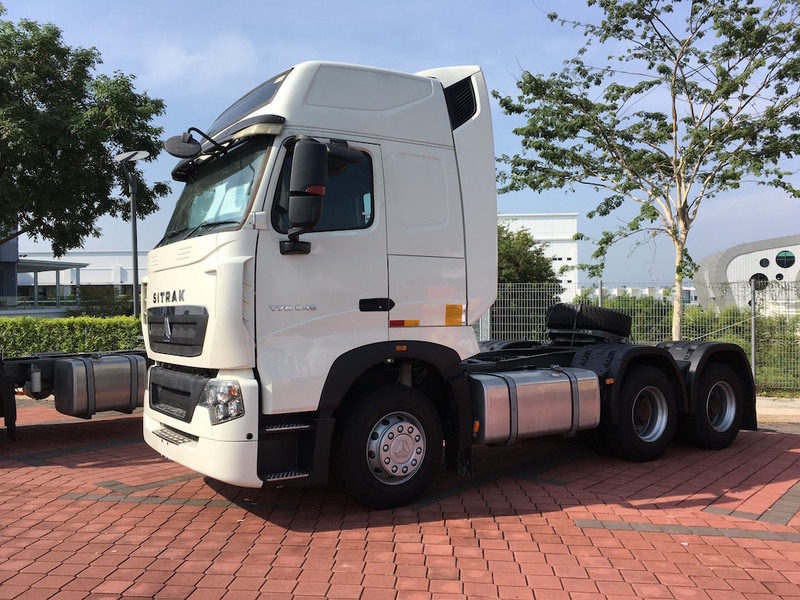 When Volvo Group entered the fray, it was the ultimate intention to combine the best of 3 worlds – UD Trucks’ immense history of Japanese craftsmanship, Volvo Group’s advanced technological know-how and TCIE’s local presence, extensive sales network and aftermarket expertise – to provide trucks that Malaysian customers can fully depend on. 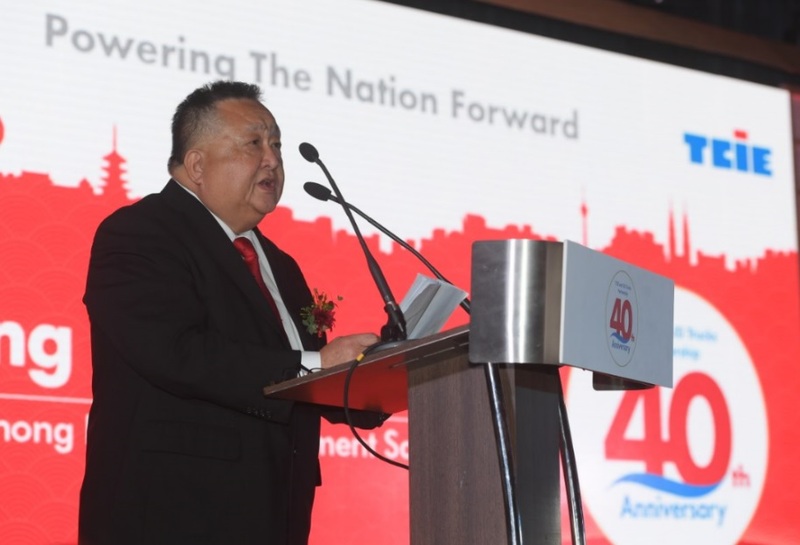 In celebrating this occasion, Wong King Yoon, Director, Tan Chong Industrial Equipment Sdn Bhd shared, “The pioneering spirit of Tan Chong Group that was espoused by our founder, the late Tan Sri Dato’ Tan Yuet Foh, had allowed TCIE to pursue every new opportunity that came with new challenges. The strong bond and deep understanding we have developed with UD Trucks and Volvo Group has successfully established our reputation, credibility and reliability as one of the best sources for smart trucking solutions in the market today. 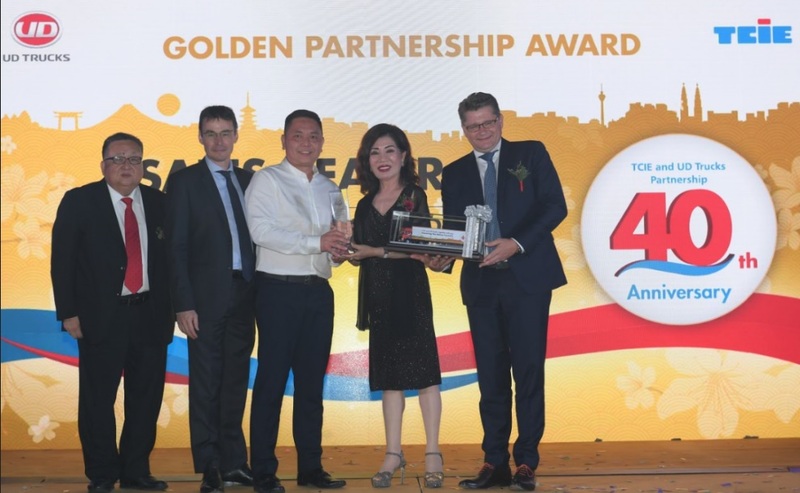 In conjunction with this celebration also, UD Trucks and TCIE took the opportunity to express their appreciation to partners and customers by giving out the Golden Partnership Award to those who have notably contributed to this 40-year partnership. 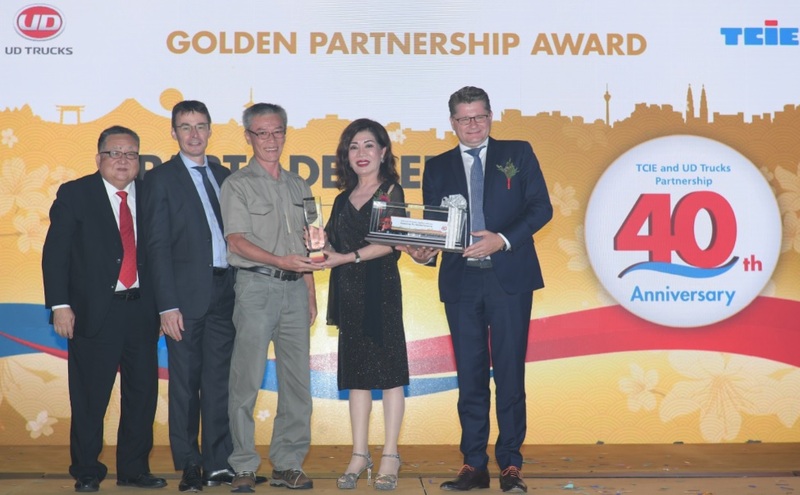 The first Golden Partnership Award for customer went to ASAC Logistics Sdn Bhd, a truly loyal customer of TCIE. 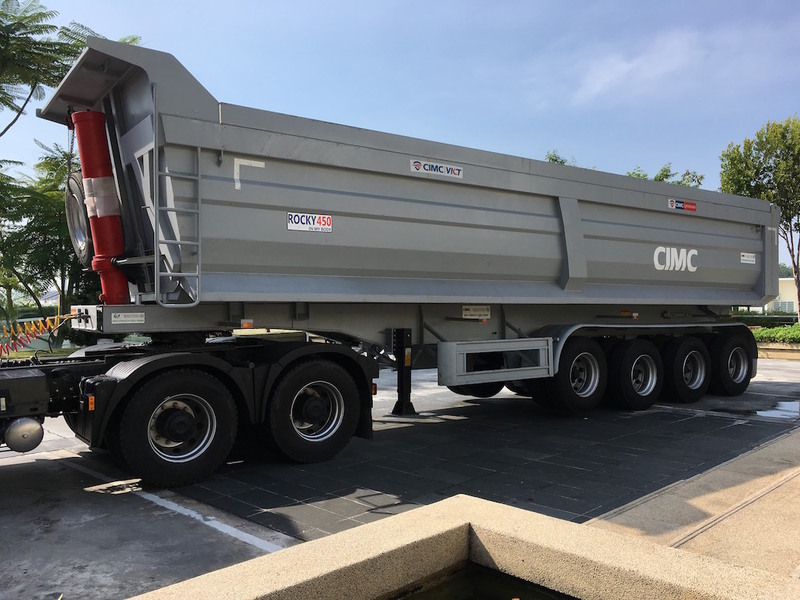 ASAC Logistics was the very first proud owner of the CK11 in 1978 and over the years up to-date, has continued to support the purchase of UD trucks. 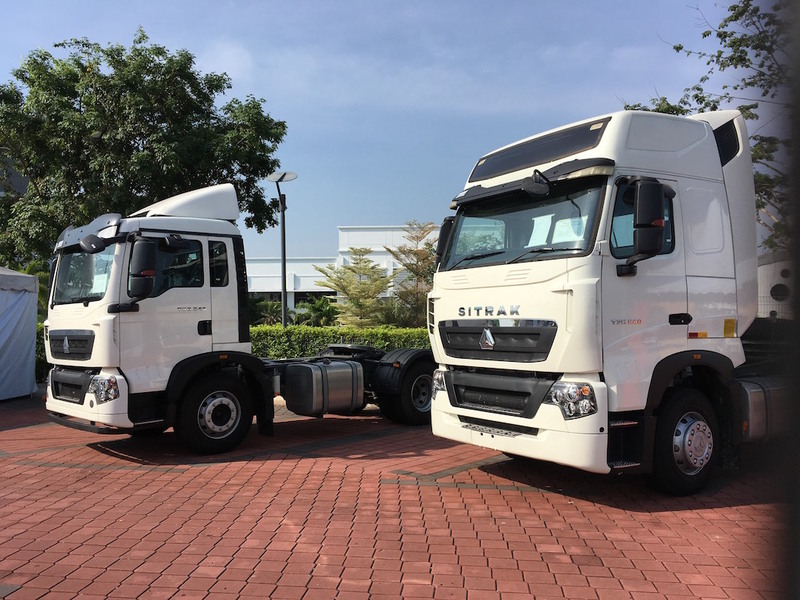 They have more than 500 units of UD Trucks in their fleet and has evolved to be one of the largest logistic companies in Malaysia. The Golden Partnership Award for Sales Dealer went to LK Utara Auto Sdn Bhd. 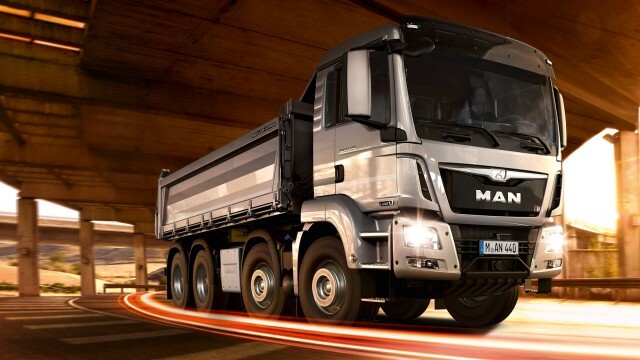 Appointed by TCIE as the authorized private sales dealer in 1999, the company focuses solely on the sale of UD Trucks and has to-date, successfully sold more than 880 units of UD Trucks; maintaining its position as the top 3 best performance private sales dealer for 19 consecutive years. The Golden Partnership Award for Service Dealer was awarded to Mun Chai Auto Works Sdn Bhd. 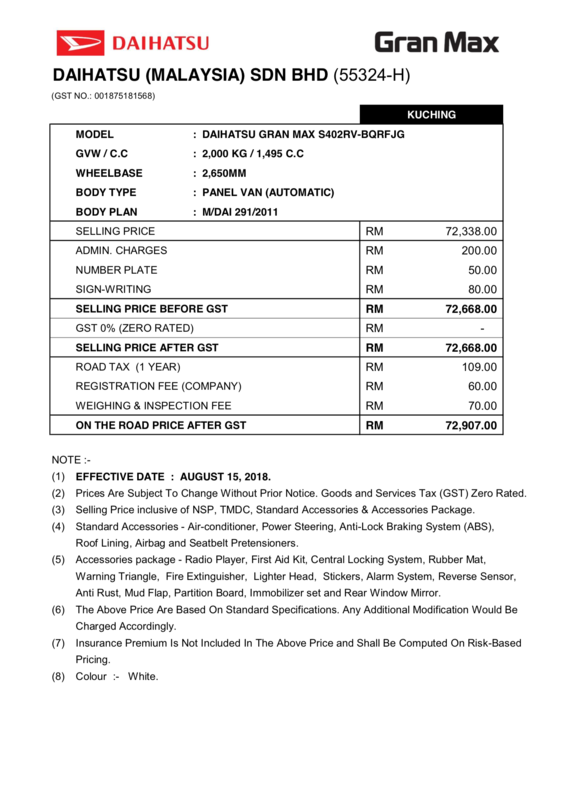 Established in 1980, Mun Chai Auto Works was appointed by TCIE as the authorized service dealer for UD Trucks. 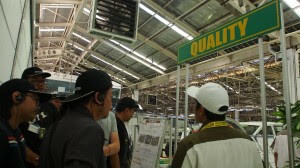 Continuous and extensive service and technician training were provided to ensure the tip-top service quality. Today, Mun Chai Auto Works has more than 20 service bays to cater for its growing business. 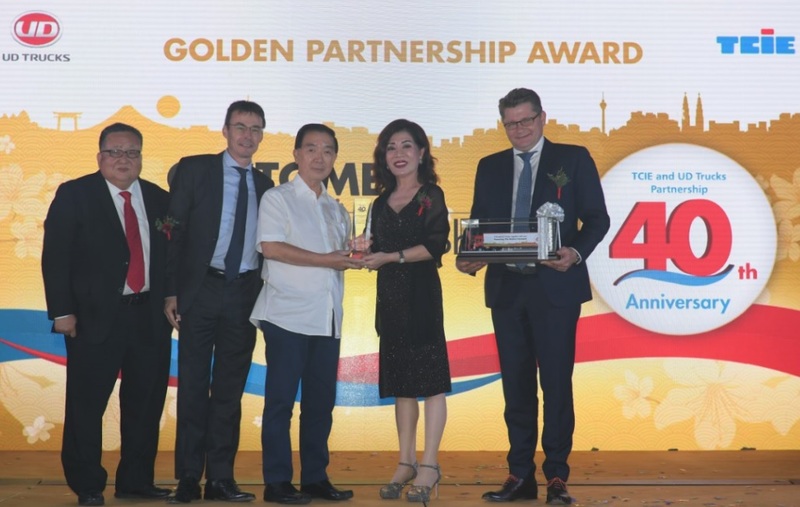 The final Golden Partnership Award for Parts Dealer went to Kaifa Auto Parts Sdn Bhd as it continues to maintain its top 5 best performance position since 1999. 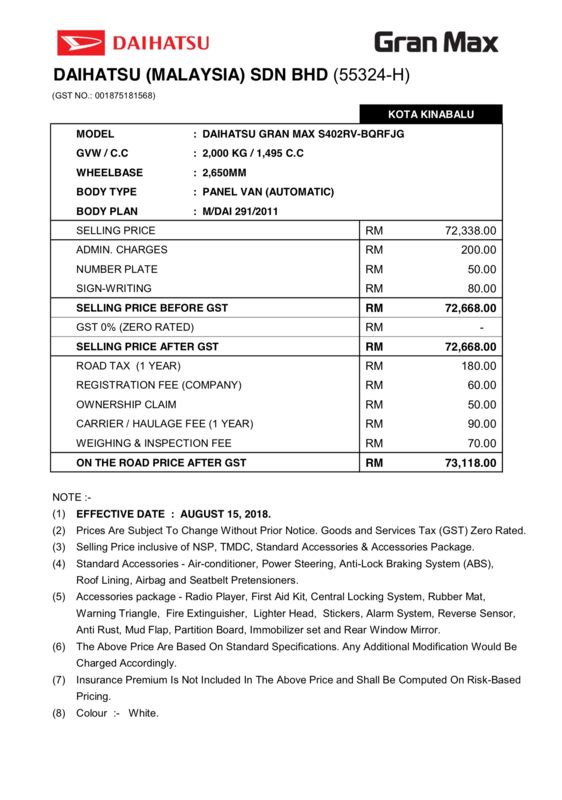 TCIE appointed Auto Enterprise (M) Sdn Bhd as the authorized parts dealer in 1978, and in 1999, the role was transferred to its sister company, Kaifa Auto Parts Sdn Bhd to solely focus on UD Trucks. 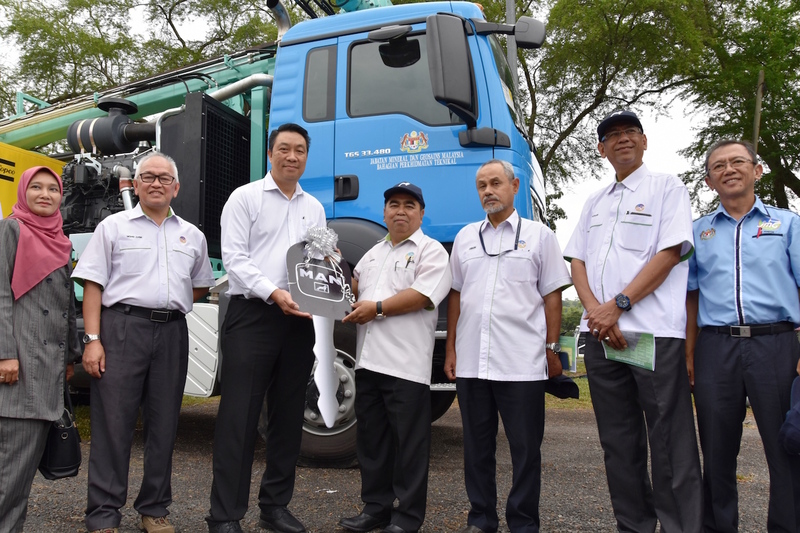 MAN Truck and Bus (M) Sdn Bhd (MAN), together with Massenza Drilling Rigs have recently handed over a MAN TGS 33.480, 6×6 truck to the Department of Mineral and Geoscience Malaysia (JMG). 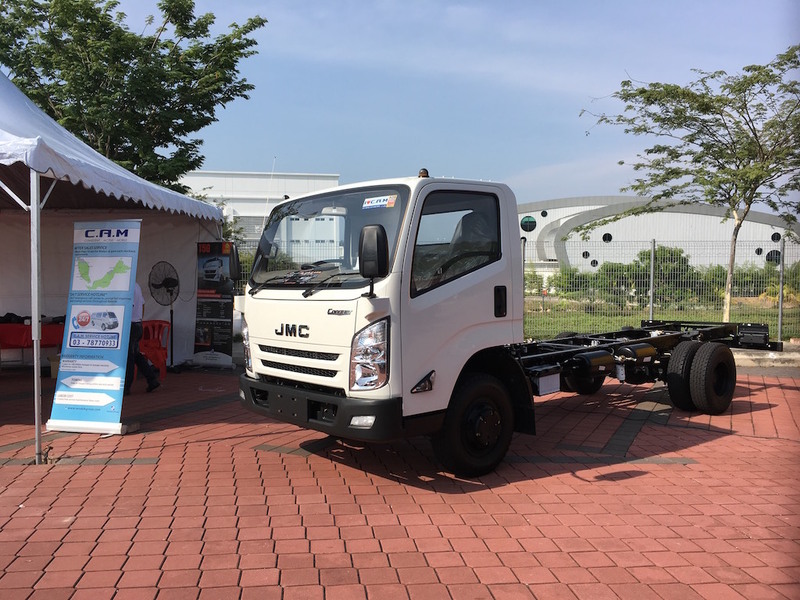 The truck fitted with Massenza’s latest hard rock water well drilling rig will be used across Malaysia, specifically at locations where ground water resources development projects are undertaken by JMG. This is to ultimately help expand water supply to water-stressed areas, especially rural areas. With its all-wheel drive chassis, maximum traction, excellent stability and high ground clearance, the MAN TGS 33.480 6×6 is the ideal choice for exploratory drilling and ground water prospecting. The all-wheel drive feature gives the truck the necessary muscle to cover difficult terrains, ensuring optimal power distribution across all the wheels. 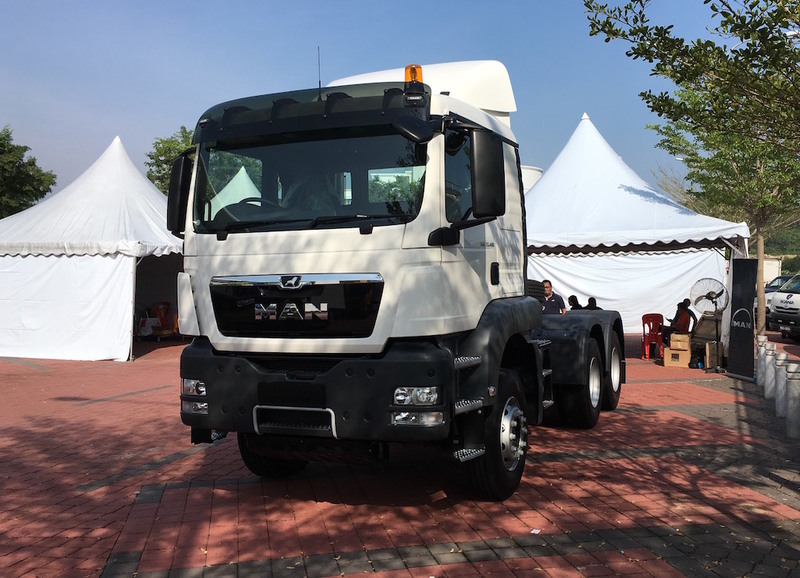 “JMG’s decision to invest in the MAN TGS speaks of their progressive outlook to invest in first class technology that can help advance their goals and objectives”, said Jerome Wong, General Manager, Sales & Marketing of MAN Truck and Bus (M) Sdn Bhd. 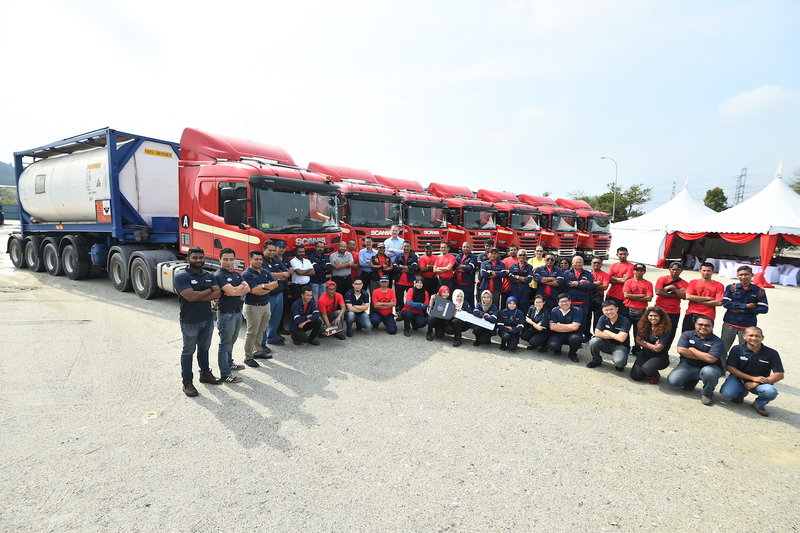 Scania Malaysia has handed over the keys to 12 new Scania trucks to one of its key customers – Circular Agency Sdn Bhd – a wholly owned subsidiary of Malay-Sino Chemical Industries Sendirian Berhad, which in turn is a 98% subsidiary of Batu Kawan Berhad which is listed on the Main Market of Bursa Malaysia Securities Berhad. 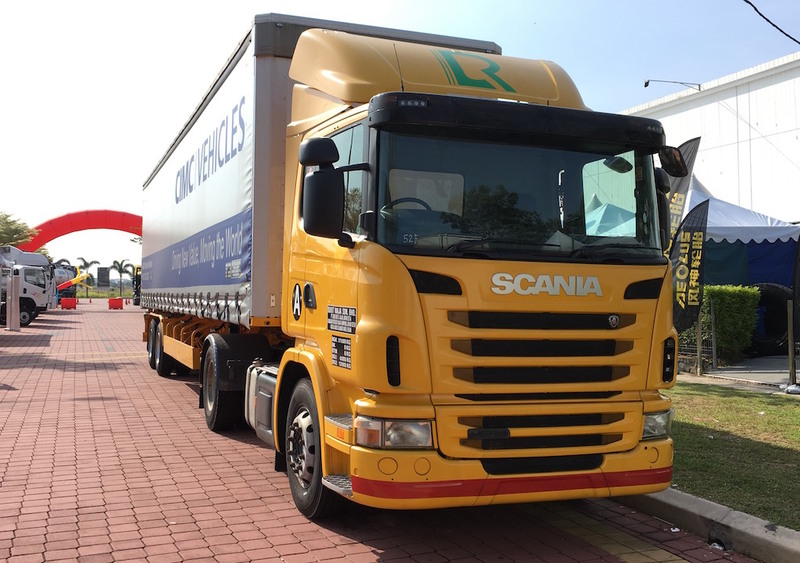 Held at the Circular Agency’s depot in Kemaman, the keys were presented by Scania Southeast Asia Pre Sales Director Tom Kuiphuis to the Managing Director of Malay-Sino Group, Mr Tan Chee Heng. 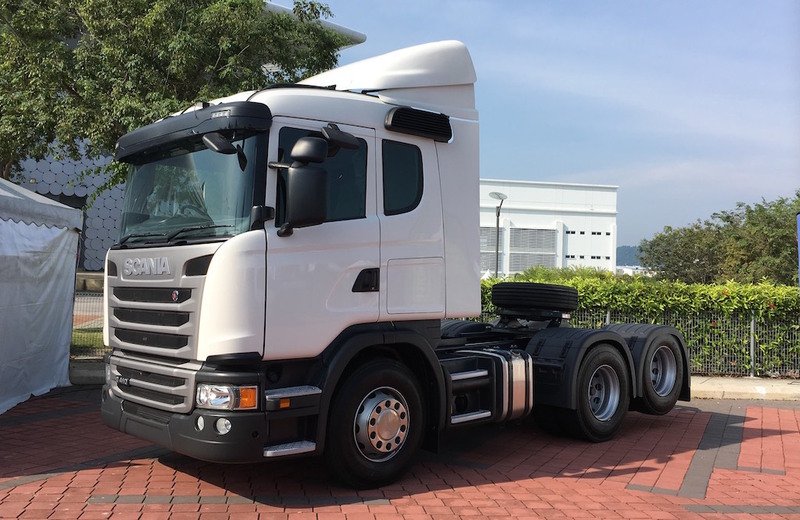 Mr Tan cited how performance, reliability, fuel economy and safety of the Scania vehicles, as well as the excellent after sales service has helped the company achieve an improved total operating economy. 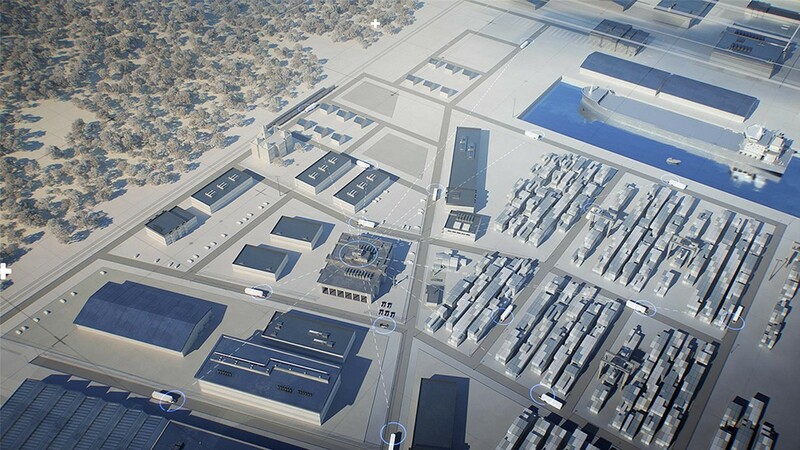 Hence, Scania is the ideal choice for its business expansion. Circular Agency purchased 11 units of Scania G410LA6x2MNA trucks and 1 unit of Scania G360LA4x2MNA truck, all offering powerful performance and increased fuel savings to help attain the best profitability for long-haul operations, making them suitable and safe for transportation of the company’s chemicals nationwide. The trucks are equipped with the Scania Opticruise gear-change feature that promises better comfort and fuel economy while reducing clutch and synchromesh wear, as well as a fully-adjustable steering wheel to help drivers stay focused and alert on their journey. 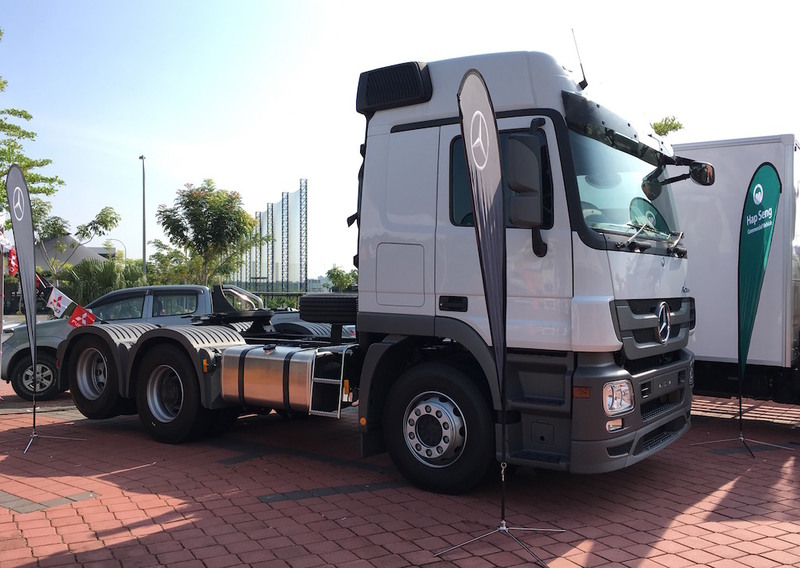 Mr Tan also commented on the FMS suite of services, which digitally connects the Circular Agency office with their vehicles, and monitors the performance of their drivers. 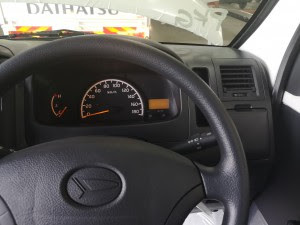 The system has enhanced the supervision of their drivers’ compliance with safety regulations set by the company. In addition, Circular Agency signed a 7-year Repair and Maintenance Contract (R&M) for all vehicles, which can be fully utilised at nearby Scania service centres, making it possible for them to keep their trucks running with minimal downtime. 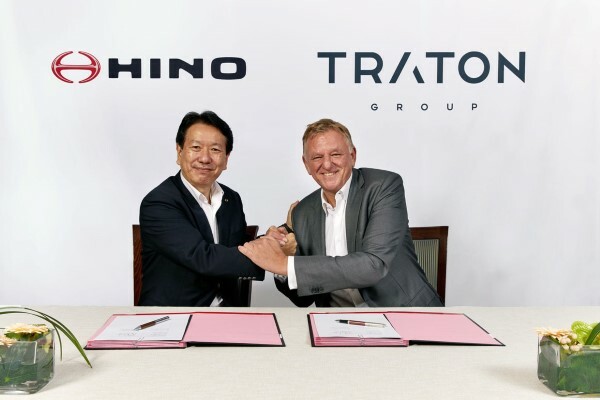 TRATON AG and Hino Motors Ltd (“Hino”) today announced new details on their strategic partnership. Both partners have agreed on two strategic initiatives: to join forces in e-mobility and the plan to establish a procurement joint venture. On April 12, 2018, TRATON and Hino had agreed to enter a strategic partnership to benefit customers, society, and both partners. Since this agreement, both companies have established working level committees and explored cooperation opportunities in existing and new technologies as well as in procurement. The strategic initiatives announced today are a result of these evaluations. In e-mobility, TRATON and Hino plan to share their development efforts and market products in shorter time. Hino has a history of more than 25 years in electrified vehicles and the largest running fleet of hybrid commercial vehicles in the world. 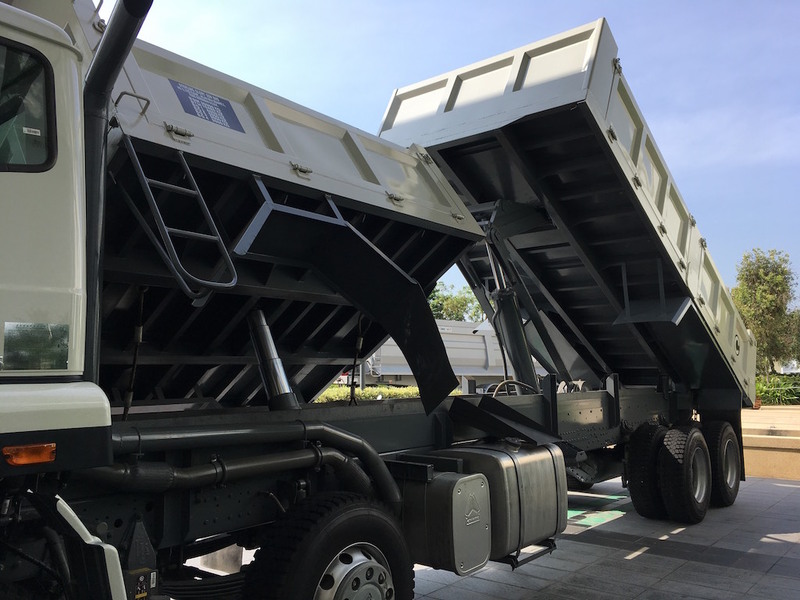 Also, Hino will start sales of the world’s first heavy-duty hybrid truck (Hino PROFIA Hybrid) with AI-based hill anticipation hybrid control system in Japan next year. The partners have complementary approaches: while TRATON is focused on heavy-duty applications, Hino focuses on light- and medium-duty trucks. Joining forces will strengthen the innovation power of the partners. The future procurement joint venture with balanced rights is planned as a small but powerful entity between both parties, leveraging synergies in purchasing. The planned joint venture aims at realizing synergies in global procurement for existing parts as well as parts for new technologies. More details of the planned joint venture will be outlined in the upcoming months. A corresponding framework agreement has already been signed, filing for antitrust clearance is the next step in the process aiming to establish the joint venture company in latter half of 2019.